On February 12, 2019 our DAC/DELAC parents provided input to the Superintendent regarding a proposed revision to the Local Control and Accountability Plan (LCAP). Please click on the document below to see the response by Superintendent Escobedo. El 12 de febrero del 2019, nuestros padres de DAC/DELAC dieron sus comentarios al superintendente referente a un cambio propuesto al Plan de Control Local y Rendimiento (LCAP). Por favor haga clic en el documento de abajo para ver la respuesta del Superintendente Escobedo. California's Local Control Funding Formula (LCFF) was hailed as a historic and bold step when it was signed into law in 2013. The law created a new way of financing schools and was intended to provide both more local control over the use of funding and more equity. Local school districts were given the ﬂexibility to determine how best to meet student needs and were entrusted with the responsibility to focus on increasing or improving services to three target populations that have historically been underserved and in need of additional resources: low-income students, English Learners, and foster youth. The new funding formula allocated supplemental and concentration grants for these three populations. The LCAP is a three-year plan that describes the goals, actions, services, and expenditures to support positive student outcomes that address state and local priorities. Below is a list of eight priorities established by the state of California. Below is the Board Adopted 2017-2020 LCAP and the 2018-19 LCAP Executive Summaries. Adobe Acrobat Reader is required to view all documents. Click the icon below to get the free version of Acrobat Reader. The development of the LCAP is dependent on the input of stakeholders including staff, employee representative groups, and community organizations. Community Forums and Advisory Committee Meetings help strengthen the Accountability Plan. Conversations about the Local Control Accountability Plan (LCAP) necessarily revolve around resource allocation and fundamentally target students' classroom learning opportunities - particularly those of English Learners, students of poverty, and foster youth. Our District uses Thoughtexchange® to assist our efforts in reaching more people to gather input. Thoughtexchange's group insight software and services allow communities to have meaningful and productive online conversations. This simple, open-ended process ensures everyone can contribute, everyone learns from one another, and important ideas emerge. Last winter, 3,819 individuals participated in this important process, nearly 2,000 more than participated the previous year. WHO BENEFITS FROM THE LCAP? All students should benefit from a school district’s Local Control and Accountability Plan (LCAP). School districts who receive additional funds to enhance services for low-income students, English Learners and foster youth should explain how their plan is meeting the needs of these target groups. WHAT GOALS ARE IN THIS YEAR'S PLAN? For a more in-depth exploration of our 2017-18 LCAP goals, download the documents below. 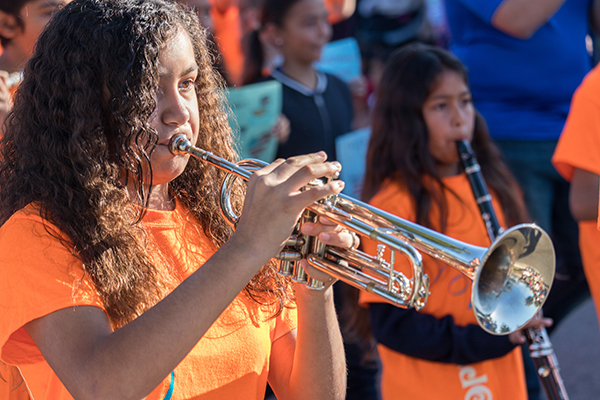 CVESD made an unprecedented $15 million investment in arts instruction, spread over three years. This also provides classroom teachers with release time for collaboration. The funding for collaboration while boosting arts instruction was hailed by classroom teachers and arts supporters alike as a 'win-win.' The funding was embedded in the District's LCAP. Imagine being a child removed from birth parents and/or separated from siblings. Imagine keeping up academically, socially, and emotionally while transitioning to a new school, and foster parents. Then, repeating the experience. 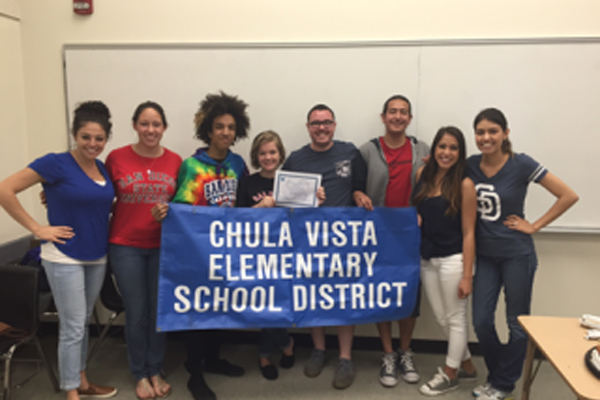 CVESD's LCAP-funded social workers support our neediest students: foster youth. Social workers provide direct services to foster youth in individual, small group, or whole classroom settings.